Commercial strength 3M® adhesive – just peel & stick! Most Oxygenics products are WaterSense-certified, meaning you don’t have to worry about water regulations. PSI (pounds per square inch) measures water pressure while GPM (gallons per minute) measures the flow rate of the washer. 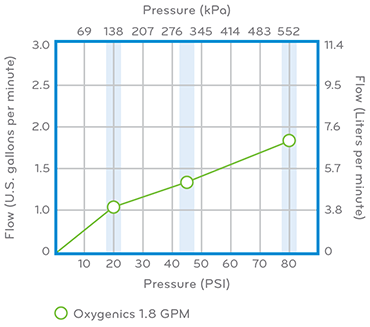 So, the lower the GPM and the higher the PSI, the better. 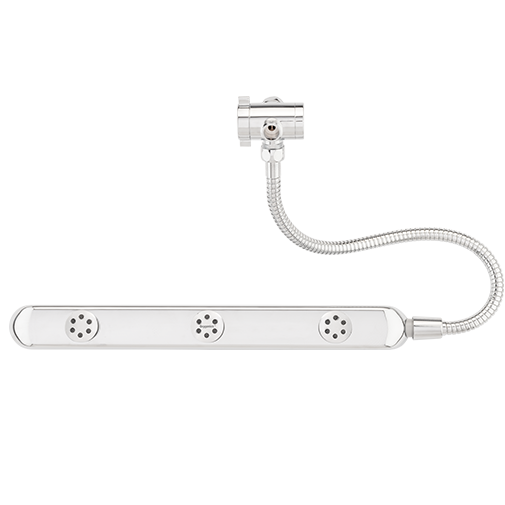 Our shower heads are designed to be highly efficient. Regardless of PSI-our shower heads feel as if there’s more water coming through, when in reality less water is being used. This results in more pressure, less water use, and more savings. This product performs at 1.8 GPM at 80 PSI – resulting in supercharged pressure with minimum flow rate, which translates to more savings on your utility bills and more money in your pocket!